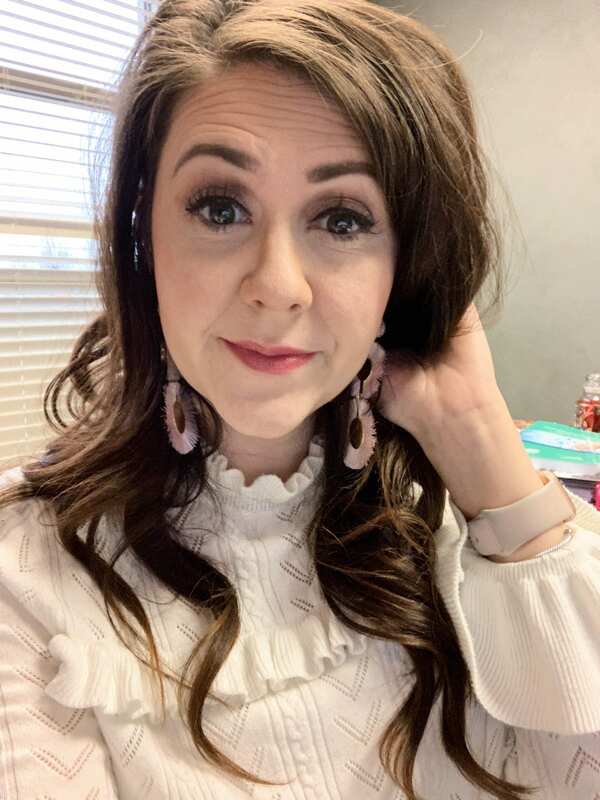 The services in this post were gifted to me by Jennifer at Savvy Salon & Spa. All opinions are my own. This post contains affiliate links. I’ve been wearing eyelash extensions for almost 2 months now–you can read my post all about lash extensions here. I’m continuing to get a lot of questions about them, so I wanted to do a little update and also educate y’all about how to maintain your lash extensions. In the 2 months I’ve had them, I’ve went back in for two fills. Now that I’ve worn them for awhile, I suggest getting them filled in every 3 weeks, as 4 weeks is pushing it too long for me. The fills take about an hour. When you’re getting a fill, be sure to let your lash stylist know what’s working for you. For example, on the second fill, I asked for a few classic lashes by the inside corner of my eye instead of the volume lashes. The classic lashes are shorter, and I feel like I pick at them less. Or if you though the lashes were too heavy for your personal preference, just speak up! I suggest not going as heavy the first time you get lash extensions so that you can dip your toes in the water and get used to wearing them. First, be sure to refrain from washing your face for 24 hours after you get extensions or a fill. This allows the glue to properly set so that your lash extensions last longer. When you do wash your face, use an oil-free cleanser to wash. I typically avoid my eyelashes when I’m washing my face, and instead, I gently wash them every two days with baby shampoo. I get my lashes wet, and massage a little bit of the baby shampoo directly onto my lashes before washing it off. I typically don’t wear mascara when I have lash extensions, but you can wear mascara with lash extensions. You just have to make sure it’s the right kind of mascara. Water-based mascaras are safe to use with lash extensions, like this one. When you apply it, do not sweep the mascara want from base to tip. Be sure to only apply it from mid-shaft to tip. It’s so important to keep your lash extensions clean! You will want to gently brush through your lash extensions with an eye spoolie twice a day, making sure to get the base of your lashes as well. Yes, some extensions will come out as you do this, but it’s a natural part of the process. Finally, don’t pick at your lashes! The more you pick at them, the more lash extensions will fall out. You also risk damaging your natural lashes. I get my lash extensions done at Savvy Salon & Spa. My lash stylist is Jennifer–you can follow here on Instagram and see more of her work here. She’s awesome! If you’re in the central Kentucky area, be sure to check them out!